The public apology of Oscar De La Hoya to Top Rank promoter Bob Arum and pound f or pound king Manny Pacquiao has been gratefully accepted by Arum and indications are it will pave the wcay for WBC/WBO bantamweight champion Nonito Donaire’s return to the ring. De La Hoya said "Dear Bob Arum first I would like to humbly apologize for any pain I have caused to you and or youre family. 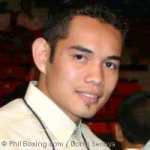 I also want" want to apologize to Manny Paquiao for any wrong doing in my part.you are a great champion. I have realized that by accepting my mistakes everyone around me will hopefully forgive me."